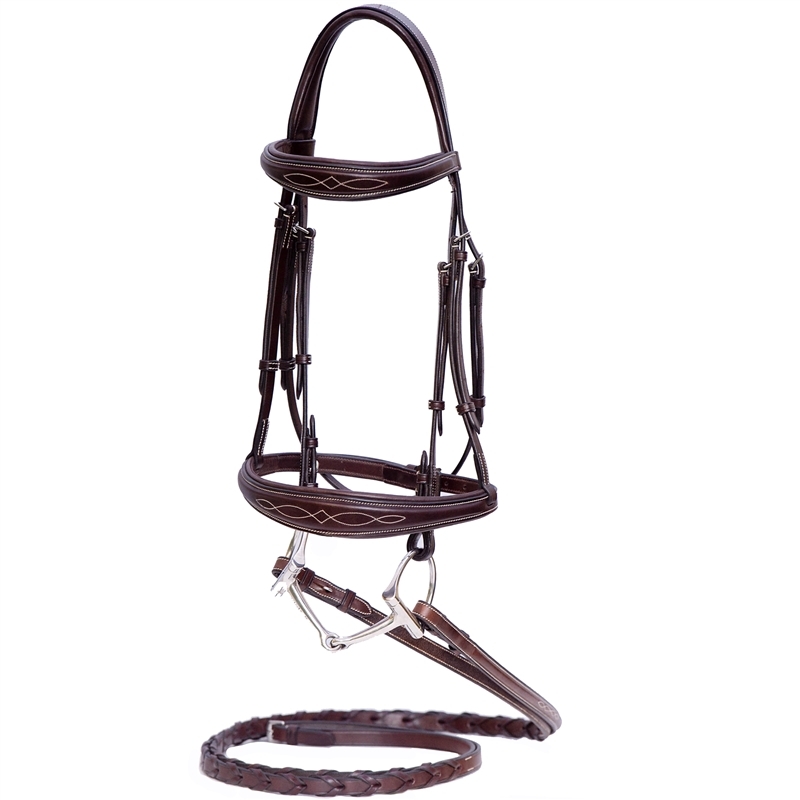 Bringing the style of the hunter ring to the modern day, the Nunn Finer Monica Hunter Bridle features an anatomically shaped brow and noseband accented with lovely ivory fancy stitching. 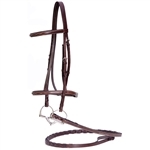 Nunn Finer also adds a mono crown for comfort and a streamlined look. 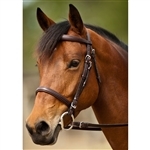 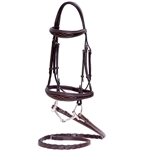 Made from beautiful Italian Leather with extra padding throughout, this hunter bridle also includes stainless steel hardware and hook end closures. 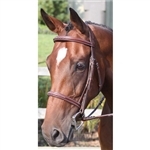 Matching raised and fancy stitched laced reins are included.